From time to time I will hand over the controls to our newest writer, Rob. He will provide a fresh voice on the state of the Celtics to keep mine from going stale. He did a great job with the Nets game. Now I am back to talk about the shellacking the Celtics provided the Raptors. The beloved Gino made his 2012-2013 season debut yesterday afternoon. 2 weeks ago I didn’t think we would see the dancing fiend at all this season. 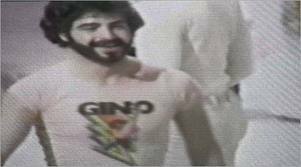 The combination of the futile Toronto Raptors and the Celtics playing in a rhythm that provided perfect synergy resulted in Gino time. Rajon Rondo doled out 20 assists after missing the Brooklyn game with an ankle injury. Not only have I been arguing he is the best point guard in the game today, I think, at the rate he is playing, deserves strong consideration for NBA MVP. I understand that I am putting him in a conversation normally reserved for LeBron James and Kevin Durant. At the time of this writing, Rondo averages 13.3 points per game and 13.4 assists per game. Based on that he is accountable for at least 39 points a game. Put him in the conversation. Jared Sullinger was great on Sunday. I know our good friend Q is going to love watching Sullinger as a Celtic for the next several years. He compared Sully to Kevin Love before the NBA draft. That was a comment I mocked him for time and time again. Then the Celtics drafted him and my haterade drinking ceased. Now, after games like yesterday, I will have to hear it from Q. Sullinger had 12 points and more importantly 11 rebounds. The Celtics have been atrocious rebounding the basketball this season. 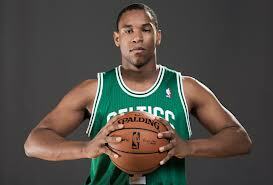 For an undersized guy like Jared Sullinger to grab 11 boards, that is very encouraging. Kevin Love is 6’10 and one of the best rebounders in the game. Sullinger is 6’9. If Sullinger can become a microcosm of Kevin Love, I will be ecstatic. The last thing I took away from yesterday’s game was Doc’s ability to keep minutes down. The Celtics are coming into today playing their 4th game in 5 days, and second game of a back to back. Garnett played just 17 minutes, Pierce 25 minutes, and Terry 29 minutes. Anyone who has talked to me about the Celtics know that my motto for this season is “82 game audition.” All I want out of the regular season is for the Celtics to stay healthy and build chemistry so they can make real noise in the real season, the playoffs. Keeping minutes down when they can will be key. So far, Doc has done just that. Tonight, the Celtics travel to Detroit to take on the 2nd worst team in the NBA, the Detroit Pistons.